Accomplishing innovation in the contemporary era by learning from tradition is the innovative path for the furniture industry promoted by Jerry J.I. Chen. Furniture, an essential part of human living space, has a history nearly as long as human civilization. Today, numerous creative furniture designs emerge every year, forming new popular trends and leading lifestyles. In October 2016, the Chinese version of the book Chinese Contemporary Furniture Design – From Cultural Appreciation to Chunzai Creativity was published by the Forbidden City Publishing House. It was authored by Jerry J.I. 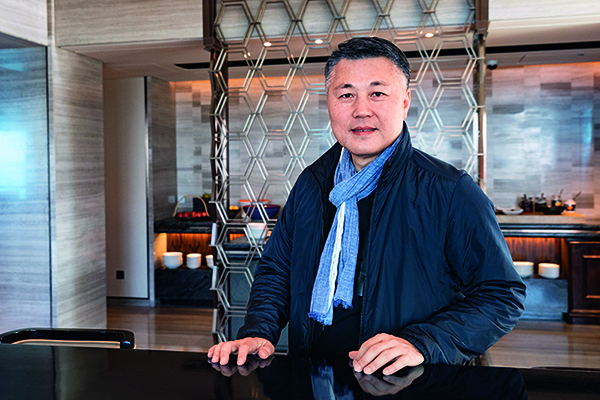 Chen, an internationally renowned artwork connoisseur and founder of the Chinese furniture brand “Chunzai.” The book is dubbed the cornerstone of design aesthetics for contemporary Chinese furniture. Its English version, published by Foreign Languages Press, was released in November 2018. The English version of Chinese Contemporary Furniture Design—From Cultural Appreciation to Chunzai Creativity, a book by Jerry J.I. Chen, published by Foreign Languages Press in November 2018. 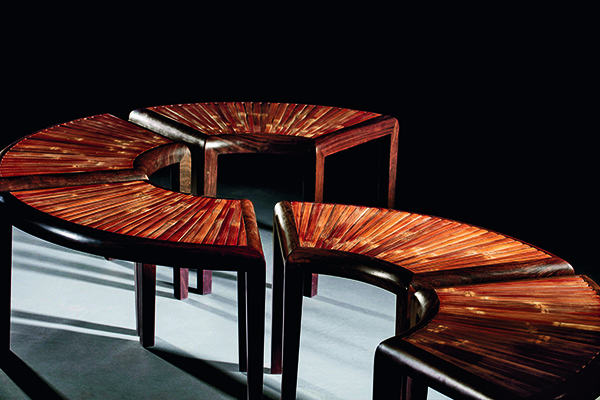 Chunzai furniture designed by Chen represents a successful example of China’s modern cultural and creative industry. The cultural and creative industry, with creativity as the core, first emerged as an idea in Britain in the 1990s. This idea gradually evolved into a developmental concept that realized enormous economic benefits during the process of merging with other industries. In his book The Creative Economy: How People Make Money from Ideas, British economist John Howkins pointed out that creative industries around the world produce around US$22 billion every day, a figure which is growing by five percent year-on-year. In its 13th Five-Year Plan (2016-2020), China made the cultural and creative industry a development priority for the future. Born in Taiwan, Jerry J.I. Chen began working in the field of cultural relic appraisal in Hong Kong in 1985. Over the past three decades, he has appraised numerous world-class and exceptional artworks. In 1999, he became a member of the Vetting Committee for New York-based International Asian Art Fair – the only Chinese person in the committee back then. Also in the 1990s, he shifted towards contemporary furniture design from artwork appraisal. In 2004, he established the furniture brand “Chunzai” in Shanghai. By establishing a brand name of contemporary Chinese furniture with a strong personal style, Chen aimed to show the world new Chinese aesthetics, a refined taste of contemporary Chinese consumers, and new cultural ideals of the country. 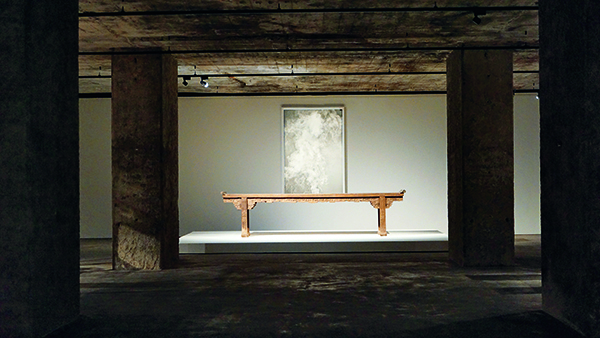 As an internationally renowned art connoisseur, Chen has appraised and collected numerous world-class and exceptional artworks over past decades. 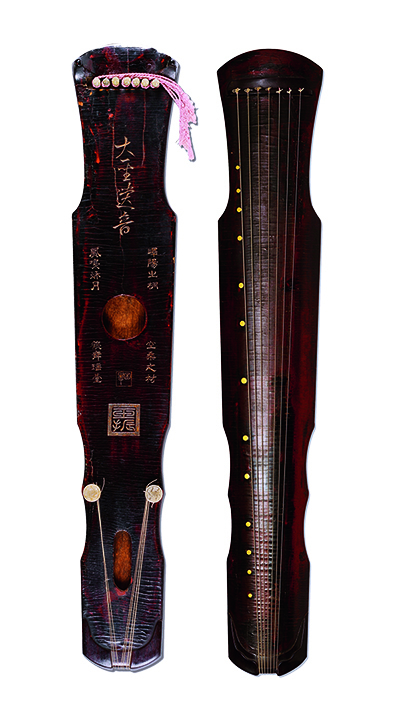 Picture is “Remnant Sounds of the Great Sages” (Dasheng yiyin), a time-honored zither dating back to the Tang Dynasty (618-907). 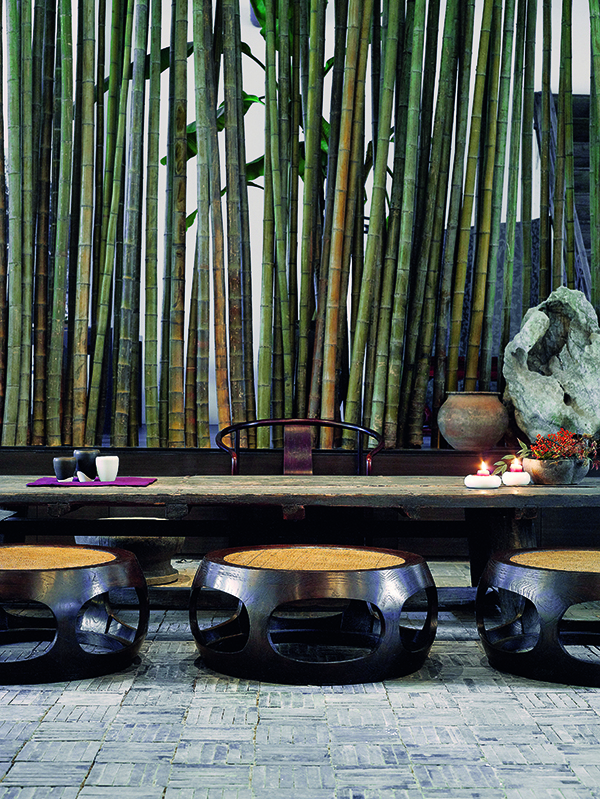 Chen believes that contemporary and classical Chinese furniture share an inextricable lineage. The evolution of furniture embodies the historical development of human wisdom, from simple to profound. China’s furniture culture is colorful yet sated with wisdom. Chen’s contemporary furniture innovation realized with Chunzai was established around his deep and multi-faceted understanding of traditional Chinese furniture. The furniture in the style of the Ming Dynasty (1368-1644) has been globally recognized as a representative of China’s furniture culture. 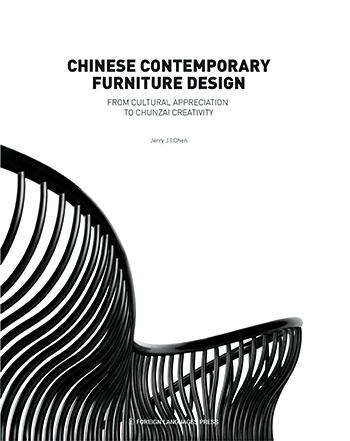 Using a new cultural perspective and a contemporary expression that better suits creative design, Chen uses the book to elaborate on the eight core values of the Ming Dynasty furniture, analyzes the 10 critical aspects of Chinese furniture design and investigates the creative possibilities of contemporary furniture. He asserts that it is absolutely possible for contemporary creative designers to eclipse both Western and classical Chinese furniture as they construct new living aesthetics and new cultural tastes for a new era. 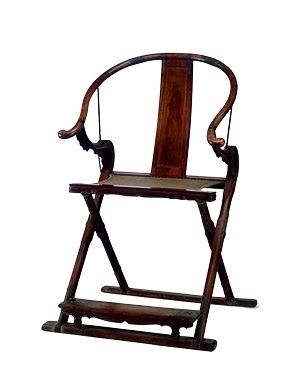 A huanghuali horseshoe-back folding armchair from the Ming Dynasty. Made with the rare and exquisite huanghuali wood and featuring splendid craftsmanship, this armchair is a wonderful example of Ming-style furniture. This mission also conforms to Chen’s original intention in writing the book. He hopes this book will be useful for practitioners in the furniture industry as well as people engaged in the cultural and creative industry. He expects the book to help China form new cultural features in the new era and usher in a golden era of cultural prosperity. The Feuerle Collection, a contemporary German art museum, was established in 2016. In this museum full of contemporary Western designs, exquisite Chinese furniture pieces are exhibited. Chen was invited to consult on its design for an incense room, where he incorporated Chinese incense culture into the modern space. China Pictorial (CP): What was the reasoning behind your shift from art collection to furniture design? And what was the inspiration for your book Chinese Contemporary Furniture Design – From Cultural Appreciation to Chunzai Creativity? Chen: This book was the first in a series on culture and creativity published by the Forbidden City Publishing House. When the idea of the cultural and creative industry first emerged in the West, I was already working in artwork appraisal and collection, so I knew the West highly valued the art in Chinese museums. However, these pieces belonged to the “good old days.” Today’s Chinese art has failed to maintain the glory of the “good old days,” and we can hardly compete with the West by learning and imitating their techniques. Artifacts evidencing Chinese lifestyles during past dynasties, such as the lacquerware of the Song Dynasty (960-1279), pottery of the Ming Dynasty, and furniture of the Ming and Qing (1644-1911) dynasties, are all of great practicality in daily life. Furniture connects people and residences. Nowadays, the relationship between furniture design and everyday life is even closer, which demonstrates the progress of the era. It was natural for me to shift from artwork appraisal and collection to contemporary furniture design. I believe furniture designers should start by learning and imitating the past and tradition before producing new creations based on Chinese people’s spiritual needs. We should create beauty of our own times using our own hands. I hope that this book will be useful for practitioners in the furniture industry as well as people engaged in the cultural and creative industry as it helps establish China’s cultural features of the new era and revive the golden era of cultural prosperity. 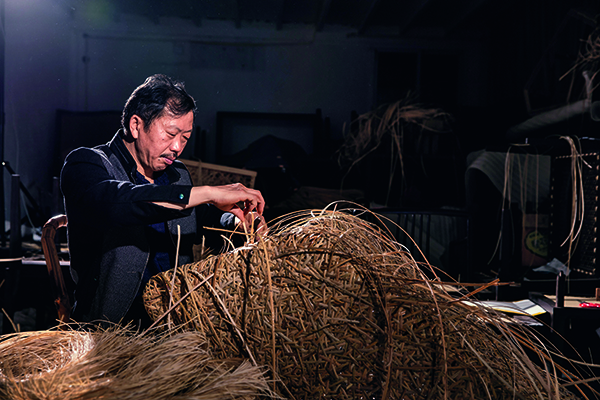 Starting from furniture design, Chen expects to usher in a golden era of cultural prosperity. Chunzai furniture optimally combines traditional Chinese craftsmanship and modern design. CP: What innovations has new Chinese-style furniture represented by Chunzai made? Chen: I believe the cultural essence of every nation is important. Before defining what new Chinese-style furniture is, we must first pinpoint our spiritual and cultural roots to determine our most accurate cultural tastes. Chunzai has been grasping for Chinese-style elegance and comfort. To achieve this goal, Chunzai has employed different materials, proportions, designs and joints such as mortises and tenons. For example, ancient Chinese people loved natural materials such as wood, bamboo, rattan and lacquer. We attempt to bring this natural elegance into full play. For example, our designs maintain the texture of materials that grew from nature, and we repurpose other materials. Chunzai furniture strives to capture Chinese-style elegance and comfort. For this purpose, Chunzai has employed different materials, proportions, designs and joints. CP: During your 30 years in contemporary furniture design, what changes do you think have taken place in China’s furniture industry and even the country’s contemporary design? How do you see the future of China’s contemporary design? Chen: From the late 1990s until now, China has been playing an extremely important role in global economic development. Now, after meeting the basic needs of the Chinese people, China’s furniture industry is attaching greater importance to creative design and brand value. In this fast-developing era, we should concentrate on building a brand with its own personality that offers our own unique perspective on contemporary life. More people should devote themselves to creating the beauty of today. I hope that when future generations look back at our work, they will consider our era both refined and beautiful. A space designed by Chen in 2008 in Jing’an District, Shanghai, which exhibits his understanding of space design for creative brands.